Remember when I told you about my crazy busy day on Sunday? This is the outfit I wore. I was going for a no fuss, comfortable look that was also stylish, considering I was going to see a lot of people. 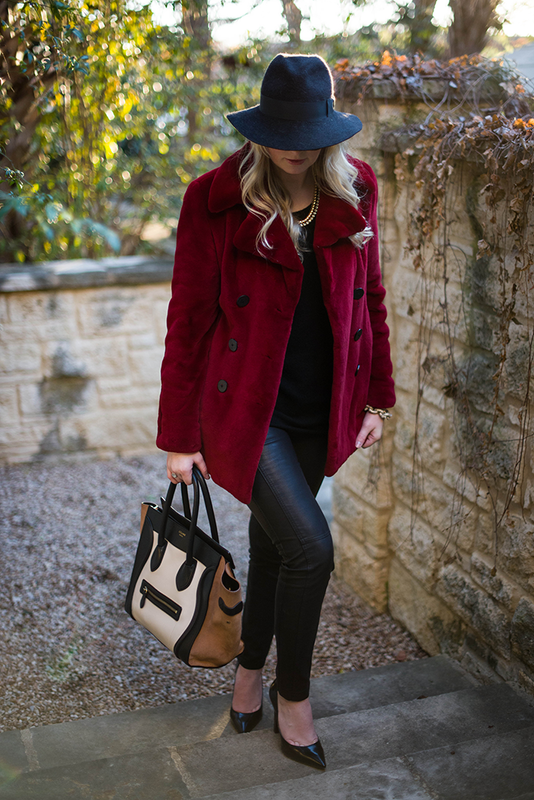 I pulled out my trusty faux-leather pants (on sale), my favorite OTTE sweater and borrowed my mom’s gorgeous red fur coat from Neiman Marcus (dreamy, right?). Neiman Marcus really does have the most stunning selection of fur coats. My mom and I get all of my fur pieces from Neiman’s! Since I felt the outfit seemed a bit lackluster all by itself, I was also ready to try out my new hat from Preston & Olivia! 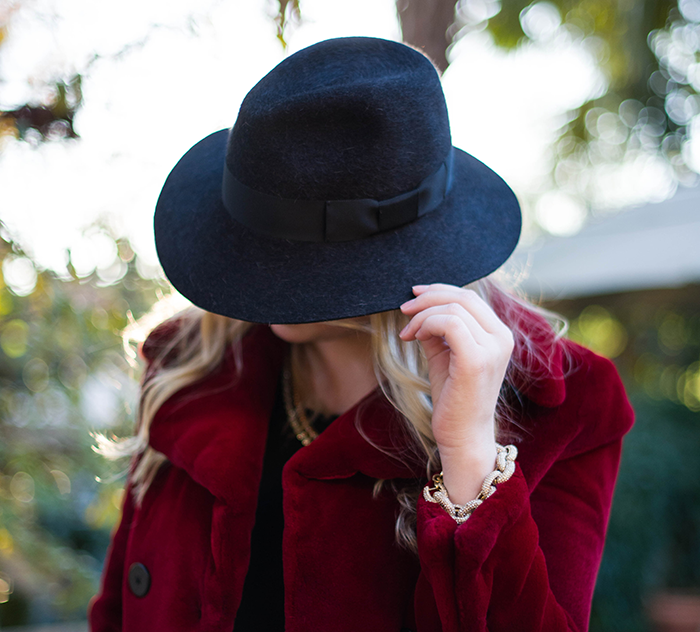 I chose the fur fedora – since I only wear hats in the winter, it seemed like the best fit for me. Preston & Olivia custom-sizes the hats for each customer, so it always fits like a charm! Click here to check out their full selection of hats and shop! Merry Christmas Eve to all of you – hope you get everything you wanted this year under your tree! 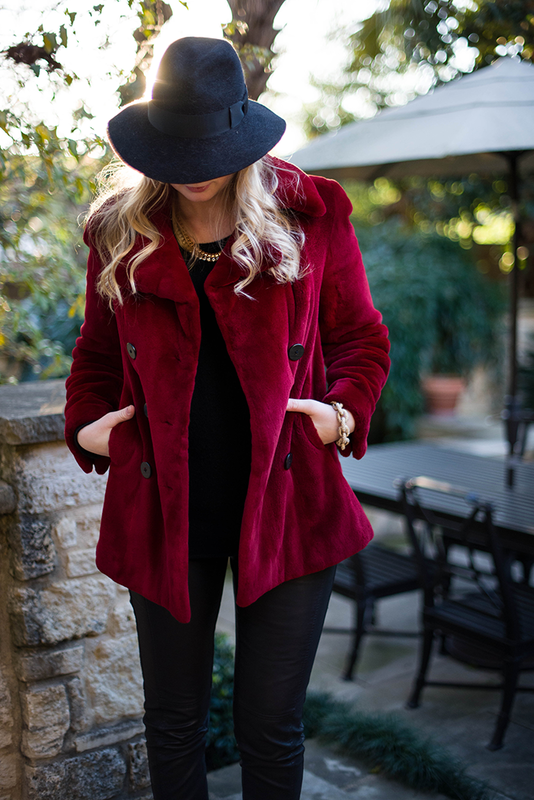 the red coat looks amazing on you! :) love it paired with the bag and those heels! What a gorgeous color!! Looks stunning on you! Happy Holidays! love love love your style! I cannot believe I just found your blog now – definitely following! Your coat is gorgeous! absolutely stunning! Love the first photo of you laughing, too cute. 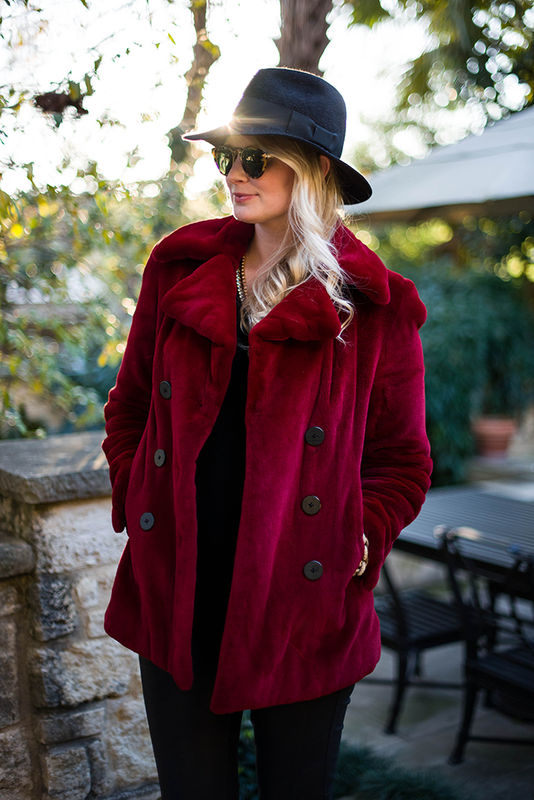 Such a fabulous coat- so chic and cozy! Merry Christmas Eve, Merritt! That is really cool how they custom fit their hats I really like that! this fur coat is so incredible. Love the color! 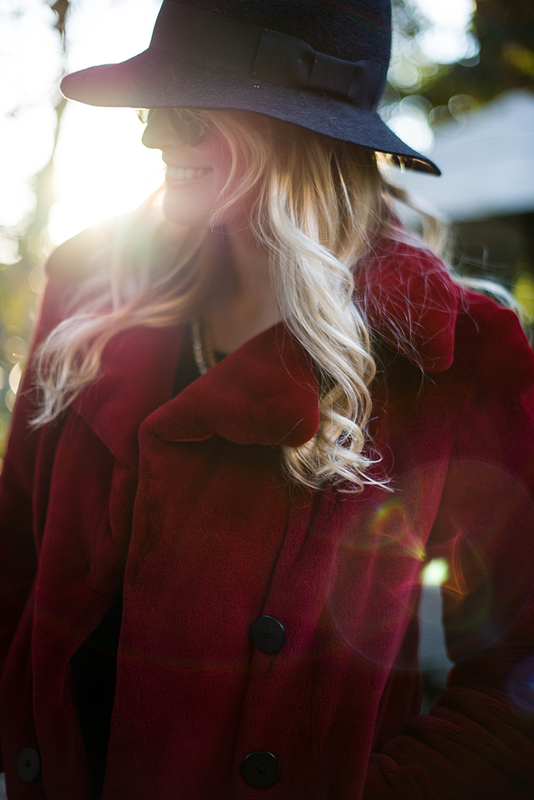 This coat is gorgeous, you look so pretty and festive. Love!